Home » yoochun » [INFO] Dress Up Yoochun & Jaejoong Online Game! 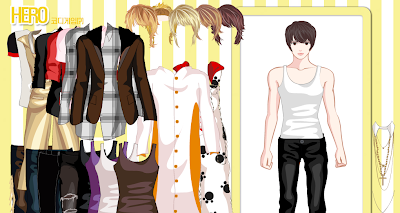 [INFO] Dress Up Yoochun & Jaejoong Online Game! Now you can enjoy dressing up JaeChun!! wat about the other three members?? ?i also wanted to play their game esp. YUNHO!!! Ah! I wanna play, this one looks awesome. I was just thinkin bout DBSK games..hehehe.. I lyk mickey's game it has more options! i like these games... where is the junsu game? somehow i cannot play jae's game~~~wHY????!!!! i dun understand micky's game . Do they have dress up Yunho, Junsu and Changmin?